One of the world’s greatest composers, Russian born Sofia Gubaidulina will bring her world renowned contemporary music to the Drogheda Arts Festival on the evening of the 1st May. 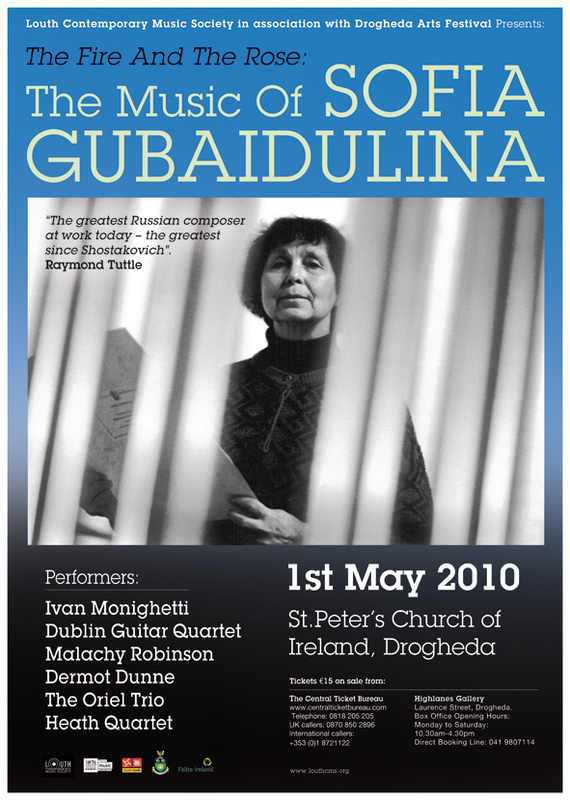 Gubaidulina (pronounced ‘goo-bye-DOO-lee-nah) who is visiting Ireland for the first time, will attend a composer portrait concert at St Peter’s Church, Drogheda in which highly acclaimed performers including Ivan Monighetti, the Dublin Guitar Quartet, Malachy Robinson, the Heath Quartet, The Oriel Trio and Dermot Dunne will perform a range of her works. 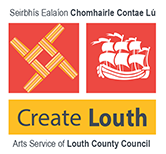 The concert is the latest of several high profile art music events organised by the Louth Contemporary Music Society, to bring world renowned composers to Ireland, previously having successfully featured, Arvo Pärt, Philip Glass, Terry Riley and Valentyn Silvestov. Eamonn Quinn, Artistic Director with the LCMS, spoke about the forthcoming event. “We are a small society trying to make a big difference to Contemporary music in Ireland. We are becoming more recognised internationally and this has helped us to attract such important composers and performers to attend and participate in our music events,” he said. Born in 1931 in the Tartar region of the former Soviet Union, performance of her works was forbidden and she was subject to the severest of repression. Now, her music, which was unknown in the West before the Iron Curtain fell, is in great demand by artists all over the world. Her unique music is marked by the use of unusual instrumental combinations and tunings and shows her interest in folk and ritual instruments from Russia, the Caucasus region and Asia. Sometimes, fiery and sometimes as soft as a rose, her music includes elements of Christian spirituality, musical symbolism, unique structures derived from fragmentation and repetition of simple material. Early on in her career, she was supported by Dmitri Shostakovich who recognised the musical gift that she possesses. In 2007, Gubaidulina was the first woman composer to be spotlighted by the BBC during its annual ‘composer weekend’ in London and she has been awarded many prestigious awards including the Prix de Monaco in 1987 and the Living Composer Prize of the Cannes Classical Awards in 2003. The Fire and the Rose: the Music of Sofia Gubaidulina is presented by Louth Contemporary Music Society (LCMS) in association with Drogheda Arts Festival. 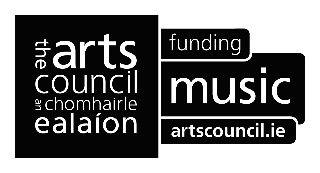 The Fire and the Rose: the Music of Sofia Gubaidulina is funded by The Arts Council / An Chomhairle Ealaíon and financially supported by the Drogheda Arts Festival and Louth County Council. A free viewing of the Barrie Gavin film ‘A Fire and a Rose’ about the life and work of Gubaidulina scripted by Gerard McBurney will take place at 5pm in Barlow House on the 1 May 2010. Tickets for the performance priced €15 are available from www.centralticketbureau.com and Highlanes Gallery, Laurence St, Drogheda Telephone: +353 (0)41 9807114. Tickets for the screening of the film the Fire and the Rose are available from the festival box office in Highlanes.